The show will go on. Portugal Telecom and Brazil’s Oi are forging ahead with their planned merger after an Espirito Santo group company failed to repay a $1.1 billion loan to PT. The Portuguese telco is paying the price for its weak controls over its own cash management. Its shareholders will now hold a smaller stake in the group it planned to form with Brazil’s Oi. Rather than diversify its investments, PT invested 897 million euros, equivalent to nearly 40 percent of its cash balance, in Rioforte commercial paper. Rioforte’s unit Espirito Santo Financial Group is a large shareholder in Banco Espirito Santo, which in turn holds a 10 percent stake in PT. Oi says it was unaware of the investment. The revised deal shields Oi shareholders from any fallout from the Rioforte debt fiasco. That debt was transferred to the Brazilian telco in May as part of the PT contribution to a capital increase at Oi. Portugal Telecom will get the toxic loan back, and must return Oi shares in exchange. That will shrink its stake in the combined entity from a planned 38 percent to 25.6 percent. PT may never recover its debt from Rioforte, which is preparing to file for creditor protection, according to Reuters. It still has an option to buy back the Oi shares at a premium to the current share price, for a total of 923 million euros, according to Jeffries estimates. The value of the call option shrinks over time. The percentage of shares PT has the right to repurchase shrinks by 10 percent in the first year and 18 percent annually after that, expiring after six years. The strike price will be adjusted by the Brazilian interbank deposit certificate rate, plus 1.5 percent. PT shares bounced on the new deal, which may reflect relief that the merger is going ahead. But they are still down nearly 30 percent since the Rioforte investment was disclosed, wiping nearly 700 million euros off its market value. With 897 million euros less in cash, the combined entity’s stretched balance sheet will look weaker. Oi chief executive and former PT boss Zeinal Bava is forging ahead with the turnaround of the Brazilian company. He will do that under different conditions and with dented confidence after this rocky start, but at least he has insulated his shareholders from the Portuguese mess. A general view of the Portugal Telecom headquarters in Lisbon. 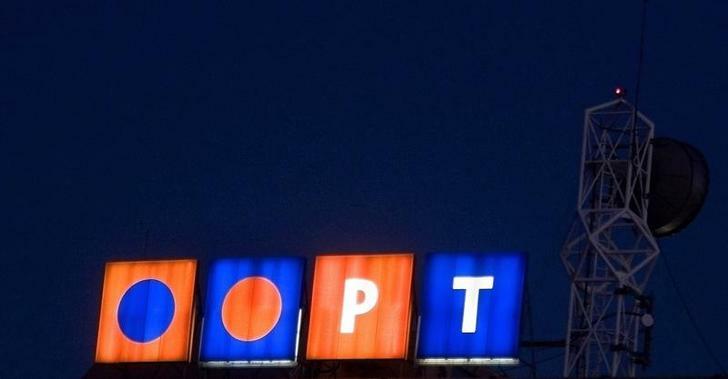 Portugal Telecom (PT) signed a new memorandum of understanding with Brazil’s Oi after Rioforte, a holding company owned by the Espirito Santo family, failed to repay an 850 million euro loan. The new terms give PT a smaller stake in the new joint company, Corpco. Two former subsidiaries of PT invested 897 million euros in Rioforte, of which 850 million euros were due on July 15 and the rest on July 17. The debt is held in subsidiaries that PT contributed to Oi on May 5. Rioforte’s unit Espirito Santo Financial Group is the main shareholder in Banco Espirito Santo, which in turn is a major shareholder in Portugal Telecom, with a 10 percent stake. Under the new terms of the deal, Portugal will initially see its share of the combined entity fall to 25.6 percent from 38 percent. PT will receive the originally agreed consideration of 3.64 shares in Corpco for every PT share. However, it will now be split into two parts. PT will receive 2.1 Corpco shares for every PT share, plus an interest in the Rioforte debt with an option to buy Oi shares equivalent to 1.54 Corpco shares per PT share. Both parties said they would pursue legal options against Rioforte. The merger is subject to shareholder approval at a meeting scheduled to occur by Sept. 8. By 740 GMT, Portuguese Telecom shares were trading at 1.88 euros a share, up 3 percent.